If you were to break down the acting career of Luke Wilson in terms of camera types, he's now entered his fourth scene: First was 16-millimeter. Then came 35-millimeter. Later was the digital revolution. And now, he's entered the world of 360 degrees. At first, it might seem like an unlikely pair—the whimsical Wilsons pitching one of the sleekest brands shining out of Detroit's industrial rebirth. 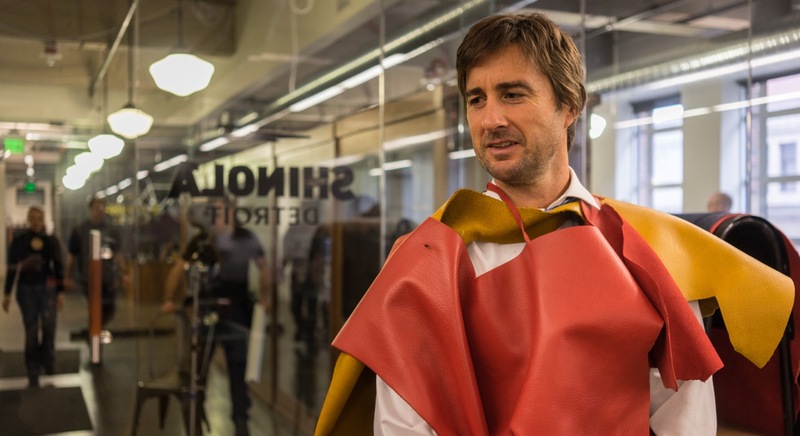 But the juxtaposition of Shinola's careful crafting with the humor of Luke Wilson seems to work, as he clumsily gives a tour of the factory while interviewing employees, knocking over products and crashing a Shinola bicycle. "Andrew and I were both nervous going into it," Luke Wilson said in an interview. 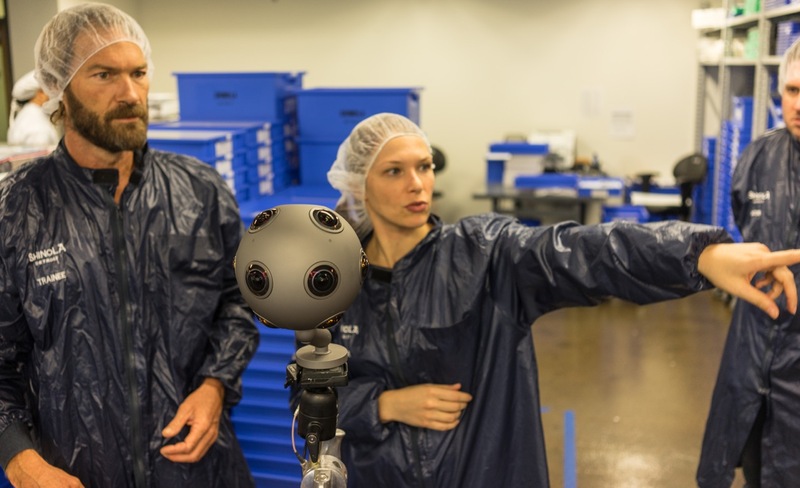 "We didn't want to disappoint these guys and were nervous about making it dynamic, in terms of where you're going through the factory. Someone making a watch isn't like jumping off a cliff or something." The soundtrack almost sounds like something from the opening scenes of a Wes Anderson film, a director who the brothers have both worked with on several occasions. Luke Wilson didn't have much to mention about the selection of the song (that was something Andrew took charge of). However, he said it keeps with the "sweetness" of the brand. "They had that great ad talking kind of making fun of the smart watch," he said. "Where it said you can tell the time just by looking at a Shinola watch. But yeah, the humor I think it's just where they were trying something. They knew us and thought maybe we could try and make it kind of funny, hopefully, and show some of the heart." The video—produced by Reel FX—was inspired by "Satellite Beach," an award-winning film the Wilsons created a few years ago while following the space shuttles Endeavor and Atlantis as they're transported to the California Science Center and the Kennedy Space Center. In the film, Luke Wilson plays the role of a fictional tour guide and manager. The brothers made the film without any script or any official clearance—until NASA heard about what they were doing and gave them access to the Atlantis. "I thought it would be funny to play a character who went out there and who thinks he's in charge of the moving of it," he said. "And you think he is, but you don't realize until the end that he's just a kind of slightly unhinged space junkie." Before the 360 filming began, Wilson didn't have much experience with the medium. But now, he's open to doing more. 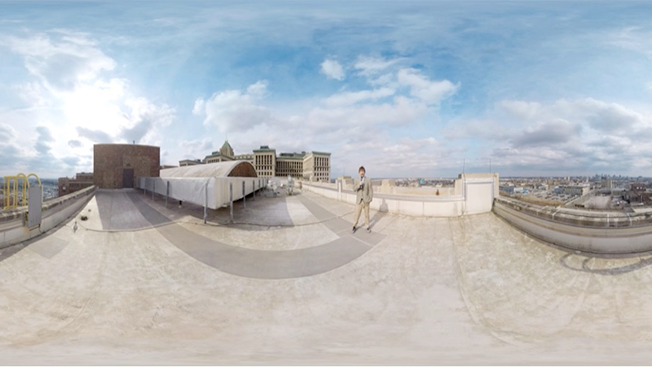 One possibility: A 360-degree travelogue series featuring Shinola's bicycle shops across the country. "These guys are really cool, and really patient," he said. "They're also in the true fashion of following your bliss. They seemed really into it. They seemed like kids with model rockets or something like that—real thoughtful, but also a kind of sense of fun and discovery."